When you’re thinking of Colorado what comes to your mind? Is it the forests, the Rocky Mountains, or an endless expanse of the most perfect ski terrain and mountain resorts in the world. Whether it's a weekend up on the slopes, or just a luxury retreat to some of the most pristine hotels and resorts in the region, Party bus Denver has your every need in mind. Take pleasure in allowing us to transport you in luxury, and above all safety in one of our many state of the art limousines and party buses. Most of us know that making the journey up to world famous ski areas like Aspen Snowmass, Breckenridge, Keystone and Vail is no easy task, especially in a large party bus or limousine. We can take you from anywhere in the state to these glorious resorts: Denver to Aspen, or even parts of bordering states if requested. Our team of experienced Chauffeurs guarantee that you’ll get up there safe the first time, and every time. Each and everyone of our party bus and limousine Chauffeurs have years of experience and are no strangers to the sometimes harsh conditions of the mountain roads, so your trust will be well placed if you reserve with us. All of our many party buses and limousines have everything you need to get through that long drive up there in comfort. From leather seats, and cargo space, to flat screens, we have everything to make sure you have the best experience for both yourself and your gear. If you feel like starting the fun a little early, we can also stock any of our party buses or limousines with a fully stocked complimentary wet bar (all passengers must be over 21). 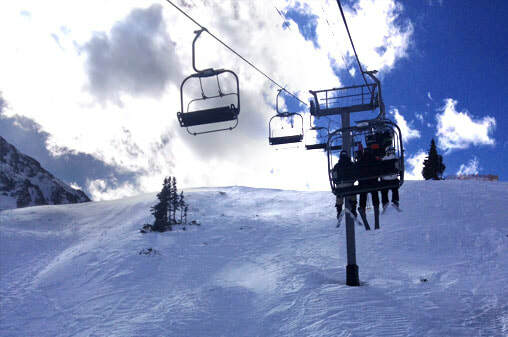 So next time you decide you want only the best services for ski resort and mountain transportation, just remember you’ll only get it with Limo bus Denver.